Hello! I'm so excited to welcome you all to the first sneak peek of the new Funnybones stamps from Riley and Company! This is my first new release as a member of the Riley and Company design team and I am just over the moon with happiness! I absolutely love all of the 34 new Funnybones stamps, and I can't wait for you all to see them. Here is a little teaser for you, because the new release isn't until the 29th of May. 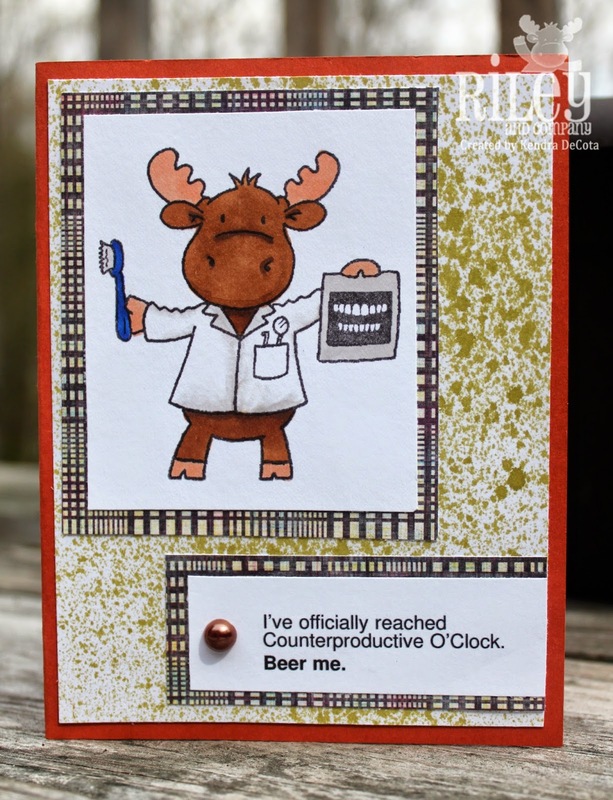 I have used the new sentiment Counterproductive O'Clock with Dentist Riley. I think we can all relate to this sentiment at one time or another! The design team and I will be posting sneak peeks all of this week up until May 29th! So be sure to check out the links below and head on over to the other blogs to see some more!